This FRAME favourite is made with super-stretch denim that holds you in and keeps its shape. 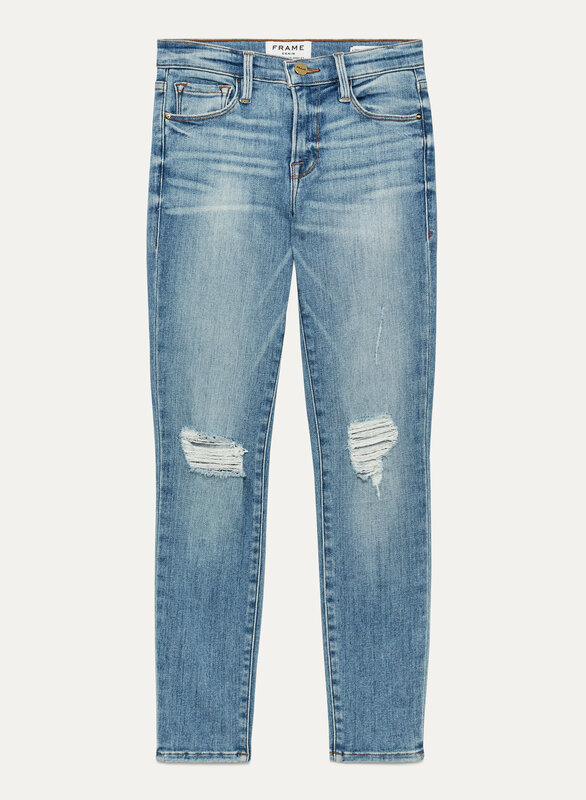 The classic blue wash is exclusive to Artizia. Very figure fitting but super comfortable and really stretchy! I ordered up a size cause I usually have such trouble finding jeans and I definitely could’ve gone down but I like a little extra room. My first pair of Frame jeans and definitely not my last! I have long legs so it is definitely more of a Capri fit on me but I’m ok with that! These jeans are great. The length is perfect as I like them to hit right at the ankle. After wearing for a day they do stretch out, maybe go down a size. Otherwise awesome fit.